Now Available on Amazon and CreateSpace!!! Has your world spun out of control? Are you looking for something to grab onto—something that never moves, never changes? Are you looking for hope as you seek direction or simply to survive? God’s promises offer unfading light in the darkness. 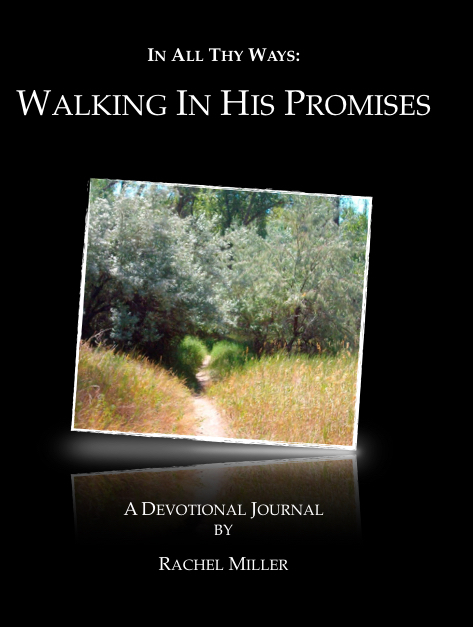 The Walking In His Promises Journal presents the opportunity to step out of the storm and into the safety of His presence. 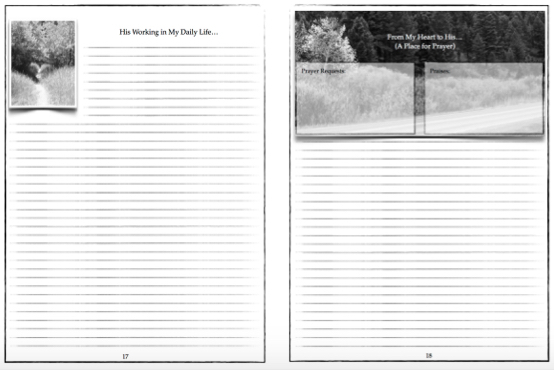 Like its predecessor, the journal provides eight weeks of journaling pages—56 verses of promise and assurance. Enter the world into which those promises were spoken through contextual readings, cross-referencing, prayer, praise, and simple questions designed to bring depth to your study and application to your life. Don’t remain unanchored in a world spinning out of control. Take hold of His promises and rejoice as you record His unfolding plans for you.